Welcome to the website of G.B.D Calamari! 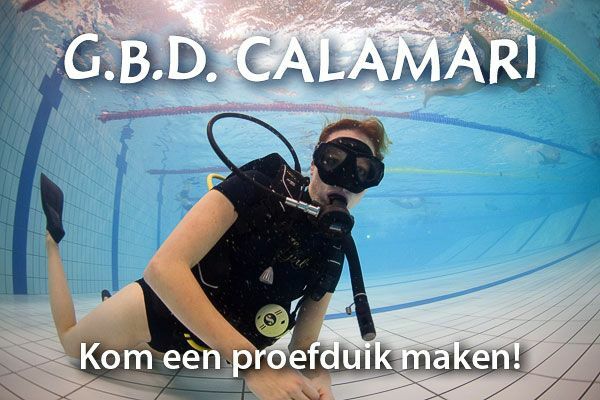 Groningen Biologist Diving Club Calamari is an active diving club for all students of the RUG and the Hanze. In addition to diving into your study books, would you like to also take a dive into the big blue? 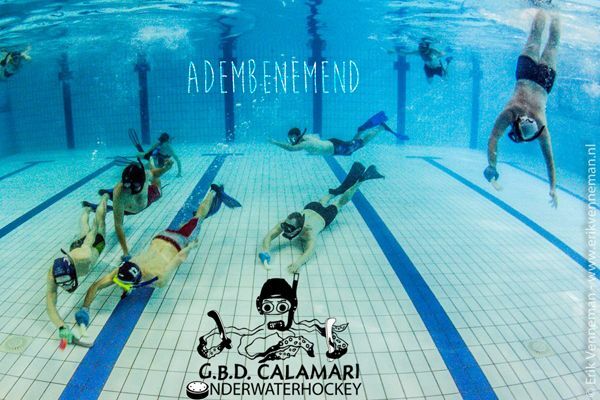 Within Calamari a lot is possible when it comes to diving, snorkeling and underwater hockey. Every Monday and Thursday we train in the swimming pool after which we often have alcoholic or non-alcoholic drinks. 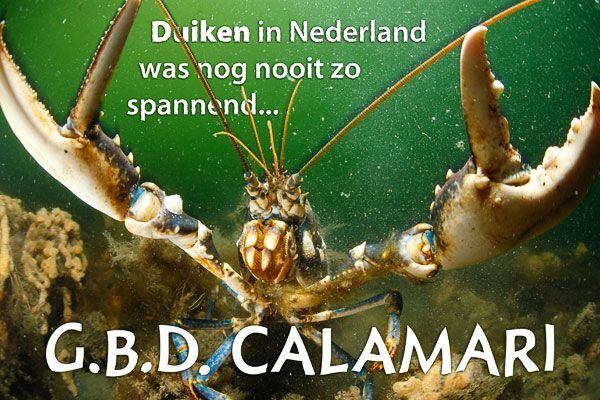 Every month a special party is organized and we organize at least 5 dive weekends to Zeeland each year. The dive courses are given by our volunteer instructors and are internationally recognized. Furthermore, various other activities are organized such as; film nights, lectures, running diners, BBQ and an annual club holiday to foreign waters. G.B.D. Calamari has originally started as a diving club for biology students. As a result, a lot of knowledge and interest in underwater life is available which makes diving more interesting! 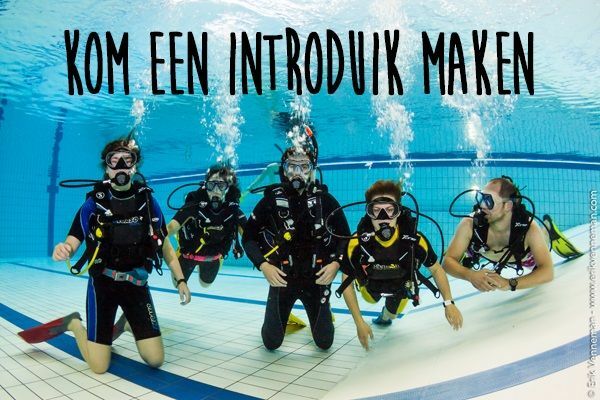 If you’re interested in snorkeling, diving or underwater hockey within a club, you’re most welcome to meet us during one of our training sessions! Interested? Sign up for an intro-dive or contact the secretary. You can also find a lot of information on this website! As introduced by Danielle during one of the 2* classes and mail, we as a group will organise a 2* camp if there are enough people willing to join! This weekend, specifically organised to make 2* training dives, will take place in Zeeland from Friday, May 17th till Sunday, May 19th. In order to make sure there is enough interest and instructors for this weekend, please sign up here if you are going to join. Specific costs, planning, location, and so on will be defined later on and we might need your help to organise something too. For any questions text Kim at 0683777382. Thursday the 25th of April we will have a springtijborrel again! This time, the drink will take place in the Irish pub O’Malley’s from 21.00h (Oosterstraat 67). The participants of the 0* weekend will leave to Zeeland the day after. So, Thursday will be the perfect opportunity to warm up for the “gezelligheid” of the camp! If you won’t be joining the camp, you can enjoy the enthusiasm of the people that will whit a nice beer (you can still sign up for the camp until the 19th).